To build your own home might be a dream that you have wanted to realise for a very long time. Firstly you need a block. I quite often help potential clients in this process and give advice on the pros and cons of each property so that you are informed of things that you may not be aware of. You may have already read my blog on the different types of blocks and the benefits of each. So let’s assume you have purchased your block and you are now looking for a design. At this stage I meet with my clients and discuss their wants and needs and ensure they correlate with their budget. If so, great, and we can progress into the design stage. On proceeding with a design, we will organise a contour and feature survey. This gives us specific information about the property. It’s mandatory to do an accurate design. This means the levels are correct and we are designing a home that will follow the contour of the property and any set backs are noted. On arrival of the design you will have a site plan; 1:100 floor plans (all levels) and elevations. 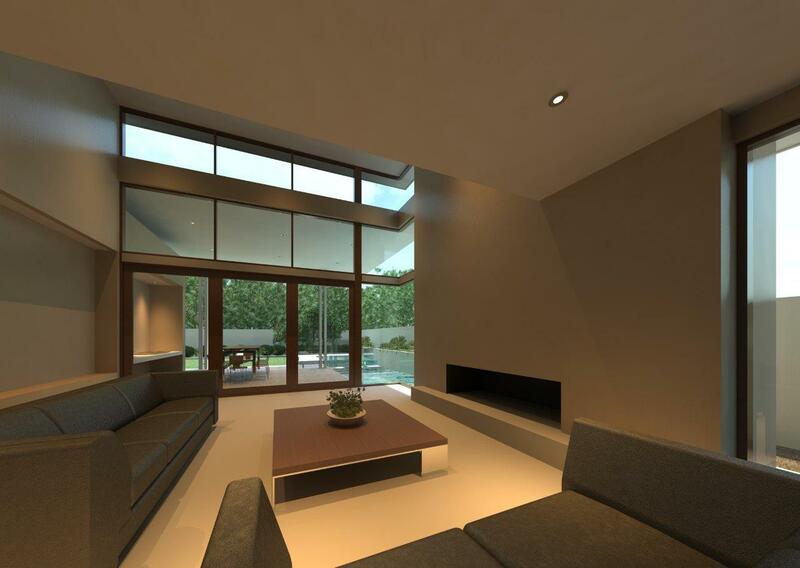 I will give you a 3D Visual Render so you can see how the finished home will look once completed. On approval of your new plans, I will sit down with you and discuss specifics on your requirements. Once the design process is complete, your plans are submitted to council for planning and I will cost up the plans and create a specification (usually a minimum of 25 pages) on what you are actually getting. “Wow 25 pages”, I hear you say! Yes it may seem a lot but it’s not as daunting as you would first imagine. I want to make as clear as possible exactly what your price is made up, of thus making the process as straight forward and concise as possible. My price includes: working drawings, engineer’s drawings, building licence, water authority approval and a building certification. My intention is make the process as simple as I can for my clients all the way through to handover. On approval of my quotation we go to contract and part of that process is that I prepare the contract documents; working drawings, engineers, all specifications and of course the contract. I use a standard HIA building contract as they’re simple to understand and a reliable contract that most are familiar with. Upon signing of the contract your project is sent to a private certifier and submitted to council for building approval. During the process water authority approval is obtained. We cannot start progress onsite until all approvals have been secured but this is organised by the builder so there is nothing for our clients to worry about. The construction period depends of the complexity of the works and not necessarily the value of the works. During construction you are dealing with me and I’m available to meet on site if the need should arise. During the construction process I will require information step by step, as opposed to requiring it all in advance, as required by the major builders. I believe the building process should be fun and not sterile. I want my clients to engage; you might be out shopping and see a light fitting that would fit perfectly. These spontaneous decisions allow you to put your personal touch on the project and this is something I really value as a builder. If the whole process can’t be fun, then why do it? You have to feel confident about what you are doing, but more importantly who you are doing it with. Stress is a bi-product of a lack of confidence in who are dealing with, so to avoid this, choose the right builder from the outset. As always, I can’t emphasise enough the importance of getting references from your builder. If your builder is doing your design, get referees from past clients where he’s done a similar project to that which what you are requiring. Once you have done that you can trust he will do an excellent job, relax and let him get on with all the hard work. In the absence of stress there is peace and a better space has been created to make intelligent decisions and allow the whole process to be fun and enjoyable. Of course if you have a big budget and the expense if no object then you might want to using Perth’s most luxurious home builder. Find out who I consider it is here. At Maughan Building we are a boutique home builder of custom home designs, servicing the Perth Metropolitan Area.